This training seminar on effective CVE programming in North Africa and the Middle East provided participants an opportunity to strengthen their broad understanding of the drivers of violent extremism, discuss the political and cultural context of these drivers within the region, and identify ways to incorporate CVE objectives into existing multidimensional development, justice, and security initiatives. 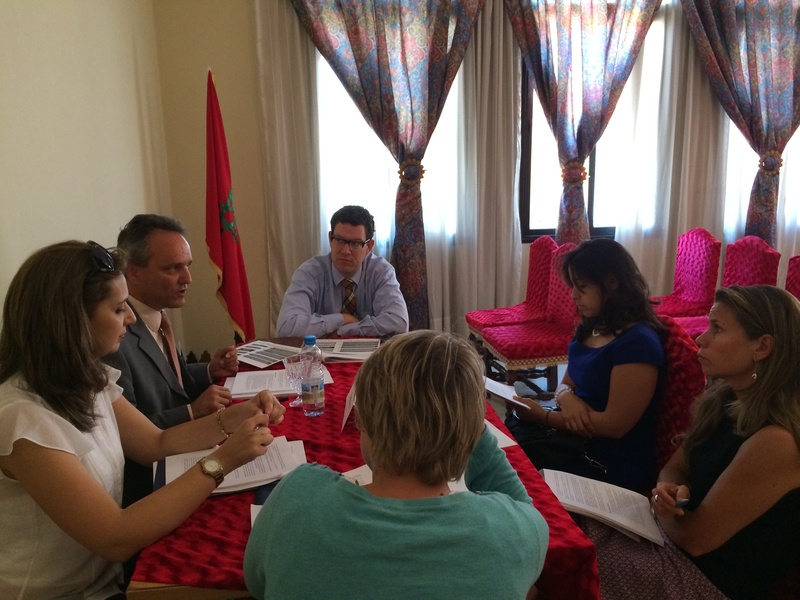 The training, held in Rabat, convened a diverse group of European Union delegates and member states, as well as civil society representatives and government officials from North Africa and the Middle East. It was designed for participants to learn about various region- and country-specific programming that contributes to addressing threats posed by violent extremism in accordance with local context, as well as to discuss the practical challenges and opportunities in undertaking CVE programming in North Africa and the Middle East. The training was held under the auspices of the European Commission, facilitated by CIVIPOL, and instructed by a team of multidisciplinary regional and international experts including representatives of the Global Center. This training was the fourth in a series of regional trainings – the first was held in Nairobi, Kenya and covered the East Africa region; the second training was held in Dakar, Senegal and covered West Africa and the Sahel; and the third training was held in Abu Dhabi, the United Arab Emirates and covered South Asia.